Because of the upcoming holiday, the FFA post is early this week. Most people, when they hear sirens, immediately think the worst. But for the community members in the small town of Crothersville when they hear sirens on one particular day in December, the worst does not come to mind. Instead, they know exactly what those sirens mean and their faces begin to fill with smiles. These sirens in December are the reminder to the community of the Annual Crothersville FFA Toy and Food Drive. The sirens heard of those of the local fire trucks of which FFA members and volunteers are seen riding on throughout the town on Crothersville. Individuals and families in this small community are greeted by FFA members and volunteers bearing gifts of food and toys for the Holiday season. But delivering the food is the easy part. 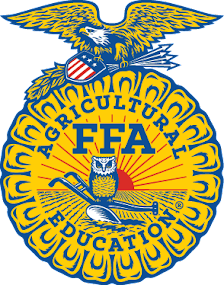 Crothersville FFA members are hard at work raising money from pork burger sales and their annual craft show in November, as well as other events. These funds raised go towards buying food, toys, and fruit for the making of fruit baskets for the families in need. FFA members spend hours sorting the food and toys into categories according to the different sizes of families, preparing fruit baskets, and making delivery plans. I have always heard of the Crothersville FFA Toy and Food drive, but to experience this event, was one of the most inspiring things. It is just something you truly have to experience. This year, the Crothersville FFA Chapter bought 6.6 tons of food and was able to help 85 families and individuals in their community. The state officers had the opportunity to ride on the fire trucks, help deliver the food, while earning a more accurate definition of community service. Not only were the families in need helped, but the local fire department as well. The firemen were given the addresses of the residents which served as training for learning the roads around Crothersville. If this act of kindness does not get someone in the spirit of giving and Christmas, then I don’t know what will. Thank you to the Crothersville FFA members, and their Advisor, Mrs. Maxie for making on impact not only on the community, but us as state officers. After the festivities at the Crothersville FFA Chapter, the Indiana FFA State Officers were preparing for another festive event, the Indiana FFA State Executive Committee Christmas Party. The District Presidents, Band and Chorus Officers, and Section Directors from all across the state traveled to the Indiana FFA Leadership Center in Trafalgar. We were very festive in our attire as we made it a tacky sweater party. We traveled to Indianapolis to go Ice Skating, where we got some interesting looks from others as we were still sporting out tacky sweaters. After that, we came back to the center and had a white elephant gift exchange. It was a great time to be with friends and have fun. The state officers will be taking a break as they head home to spend the holiday season with their families. From our family to yours, the Indiana FFA State Officers would like to wish you a Merry Christmas and a Happy New Year! Any time one travels, he or she must take pit stops – to eat, use the restroom, or nap. 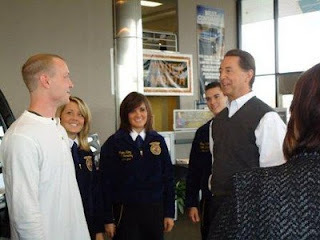 While these sorts of pit stops pertain to traveling for vacation purposes or traveling for business, the Indiana FFA State Officers took some pit stops from our Business and Industry Visit tour this past weekend for a few other reasons – to see premier leadership, personal growth, and career success exhibited by our members and supporters! On Friday night and Saturday afternoon, we attended the Indiana Farm Bureau Convention in Indianapolis, IN. Along with seeing many members of our local Farm Bureaus, we attended the final round of the Discussion Meet and watched the final four contestants exhibit their passion for agriculture along with premier leadership that FFA develops within its members. On Saturday, we attended the Closing Session where Indiana Farm Bureau presented the Indiana FFA Foundation with a check for $10,000 as a part of their partnership! How excited and appreciative we were! Also, a John Deere tractor was auctioned off that had been restored by the Martinsville FFA Chapter! The tractor sold for $4,200, and the proceeds were also donated to the Indiana FFA Foundation! Thank you, Martinsville FFA, for all of your hard work on the tractor! Attending this year’s Indiana Farm Bureau Convention was an extreme honor, and we were enlightened and encouraged by their support of FFA and the future of agriculture! Thank you, Indiana Farm Bureau! Also on Saturday, we were able to first hand see FFA members preparing for career success through competing in this year’s State Crops, Forestry, Entomology, and Food Science Contests, which were held at Purdue University. All of the blood, sweat, and tears that members and coaches had put into practicing for these contests over the last few months were finally made worth something! Our roles in these contests were to help at registration, run and tabulate score cards, and monitor the prep and actual contest rooms. Thank you and congratulations to all members and coaches who participated in these events! On Sunday, our team ventured out into quite a bit of snow in order to assist at Shenandoah FFA’s Annual Snug Harbor Christmas Party held in Middletown, IN. While I had heard of this well known event, I had no idea what it actually entailed or how utterly AWESOME it was! Special needs patients from Snug Harbor came with their caretakers to celebrate Christmas and enjoy a spectacular program put on by members of the Shenandoah FFA! Members made their cafeteria into a Winter/Christmas Wonderland, purchased and wrapped gifts for each of the patients, served a full meal, put on games, and had Santa Claus come to present the gifts…all for the developmentally disabled patients of Snug Harbor! Seeing as how Shenandoah FFA also sponsors a prom in the spring for these patients, the members knew most of the patients by name, gave them hugs, and had conversations to catch up! Never in my nineteen years had I EVER seen someone as happy as I saw the Snug Harbor patients that day! Their excitement led to a couple dances, kisses on the cheek, and even marriage proposals for Shenandoah FFA members and our team! Ha! 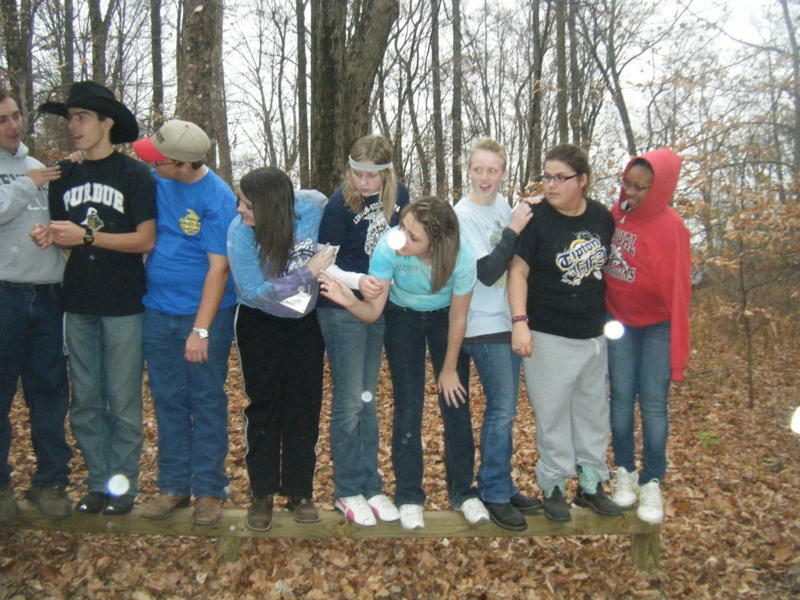 Not only did the Snug Harbor patients have the time of their lives, through the premier leadership of the Shenandoah FFA members, our team experienced an astronomical amount of personal growth that FFA strives to provide for its members! Thank you, Shenandoah FFA, for all of your dedication to those involved with Snug Harbor as well for an impactful experience! After a busy, busy first week of visiting our partners during our Business and Industry Visits, it was beyond refreshing to catch up with members and return to them watching them develop their own potential for premier leadership, personal growth, and career success! While they think we influence them, I am convinced that they have absolutely NO idea how much they mean to us and how much they impact us on a daily basis! While we are all busy finishing up projects at work or completing Christmas shopping to prepare for the upcoming holidays, we must remember to take a “pit stop” and give attention to those things that keep us grounded – in FFA, that would be our mission to developing premier leadership, personal growth, and career success; for you, that may be your family, friends, and living to serve others. Take some time to get back to what is most important! Until next week, stay warm and safe out in this crazy Indiana weather! 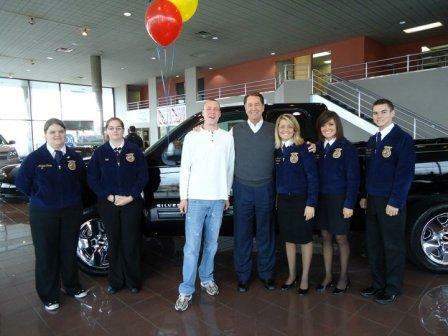 November 13th concluded one of Indiana FFA’s largest fundraisers: 2010 Truck Stampede. The Truck Stampede gives local FFA chapters the opportunity to participate in a fundraiser for not only them, but for the Indiana FFA Foundation as well. For each $5 truck ticket a FFA chapter sold, they were able to keep $4 for themselves and the other $1 went to the Indiana FFA Foundation. Twenty seven FFA chapters participated this year in the Truck Stampede raising more than $32,000 for the chapters and nearly $8,000 for the Indiana FFA Foundation. 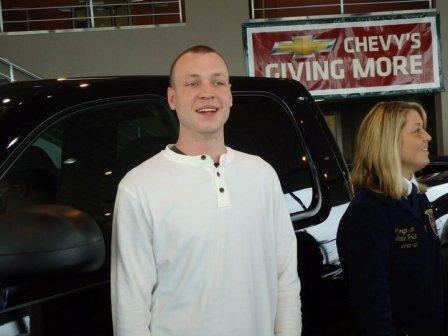 On November 13th, the lucky ticket was drawn at the Indiana FFA Leadership Center in Trafalgar, Indiana and Nathan Hitts of Huntingburg, Indiana was the lucky winner of a 2010 Chevrolet Silverado 4WD Ext. Cab LT which was provided by Bill Estes Chevrolet! 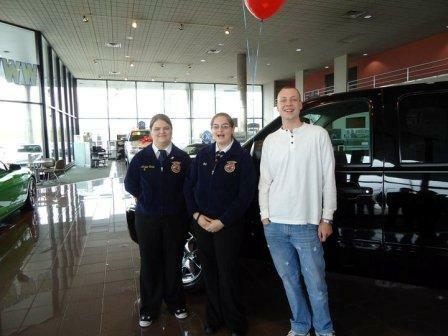 Nathan bought his ticket from Alyssa Terry, an FFA member from the Springs Valley FFA Chapter. My teammates, Morgan Dawson, Megan Klotz, and I along with our Program Specialist, Lindsey Calhoun, had the opportunity to travel up to Bill Estes Chevrolet (located on Michigan Road, right off the I-465 exit) where we met with Alyssa Terry, Nathan Hitts, and Bill Estes! Bill Estes meets our lucky winner! The prize black pick-up truck seemed too good to be true for Nathan as he eyed it with his mouth dropped open! On behalf of the Indiana FFA Association, I would like to thank Nathan Hitts for supporting the Indiana FFA by simply buying a $5 truck ticket. I would also like to thank Bill Estes Chevrolet for supporting and partnering up with the Indiana FFA by providing a brand new pick-up truck for the past two years. We are looking forward to continuing our partnership with Bill Estes Chevrolet through the 2011 Truck Stampede. The air was filled with the festive scent of pine as we arrived at Dull’s Tree Farm outside of Thorntown, Indiana where FedEx representatives were gathering with FFA members from local FFA chapters along with other volunteers for the Trees for Troops program. My teammates and I received warm greetings as we approached the big, red, vintage barn that was the center of activity on the farm. I got to help hang the banner on the barn. And in April 2010, the Campbell Soup Company, the FFA and local volunteers restored the Dull family barn as part of the Campbell's helps Grow Your Soup program. ﻿﻿﻿ We as a team were instantly energized by the enthusiasm radiating from everyone that had congregated there! You could feel the Christmas spirit that was ever present. Even one of the cats was interested! Here we are with our Santa hats along with some new friends. The level of Christmas cheer would only continue to rise as preparations for the morning’s event were being completed. Tree’s For Troops: a nation-wide movement that has been made possible by FedEx with the intentions of spreading Christmas cheer overseas to those brave men and women that are serving our county in our military over the holidays. Five years ago, Tom Dull, owner of Dull’s Tree Farm, began hosting the event on his very own farm. Tom Dull (in the red jacket) talked with us about the program and how we would be processing the trees. ﻿ Tom, along with several other local tree farmers, had compiled nearly 200 donated trees to be put through the process of being packaged and shipped out that morning. Dull's Farm was selected for the processing due to its proximity to Indianapolis and the Fed Ex station (which donates all the shipping). To prepare the trees, they have to first be measured out with seven feet being the maximum height (trees that were too tall were cut accordingly). They would then be “baled” or wrapped in netting that squeezed and slimmed their branches down so that they would be easier to package. Fellow FFA officers Nellie and Janna along with our FFA Executive Director, Steve Hickey get the trees prepared for processing. Following the baling process, they were then tagged with a “Trees For Troops” label and then shoved into a narrow, rectangular, seven foot tall box. Before the boxes were taped shut, Christmas lights and ornaments made by school children from central Indiana were added to make for a complete package! Megan helps another volunteer finish the boxes. The boxes were then loaded to one of two FedEx trucks according to where they were going. Half of the trees will go to the Great lakes Naval Air Station in Illinois, and the other half is headed for the Navy’s Fifth Fleet in Bahrain and the U.S. Embassy in Kuwait. In front of one of the trucks you see Deputy Chief of Staff for Lt. Governor Skillman and Executive Director of the Office of Community and Rural Affairs, David Terrell (left) and Indiana Agriculture Director Joe Kelsay when they stopped by to show their support on heir way to Knox County. I think that simply being aware of the great cause that we were all serving made our time working fly by because before we knew it we were finished. Hot chocolate, coffee, donuts, and homemade cookies were provided to all who attended that day after our work was finished. We made goodbyes to all of our new friends from FedEx and Dull Tree Farm, and left the farm knowing that our service will allow many soldiers overseas the ability to be a little closer to home for the holidays! After the 2010 F.I.R.E. conference, more adventures with Indiana FFA Chapters around the state and our team retreat in the beautiful town of Nineveh... gratitude was one subject burning in all of our minds. That is what we are thankful for. We hope you enjoyed a blessed Thanksgiving, and that you continue into a safe and festive holiday season with gratitude in your mind and in your heart. 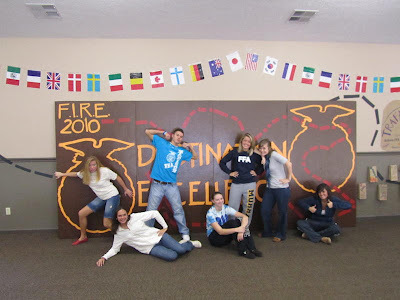 Indiana FFA Members were ready and excited to kick off FIRE 2010… Opening Session started as the Members shouted DESTINATION EXCELLENCE and the music played as they ran through the doors. At that moment perfection had been reached. Members filled the Indiana FFA Leadership Center with excitement and enthusiasm for the weekend’s journey. The excitement not only carried on throughout the weekend, it increased! The first night members enjoyed opening session, a social (which included ice-cream), then a round of Wolf (a version of hide n’ seek) and we ended the night with reflections by Janna, Nellie, and Morgan Dawson. Each revealed an obstacle they had overcome. Saturday’s schedule was jam packed and we were ready to keep the members busy from breakfast until cabin checks. A big breakfast of pancakes was served and we traveled into Megan and Nellie’s Session dealing with Advocating Agriculture. Together they revealed the importance and the opportunity agriculture has within our communities, our nation, and our world. 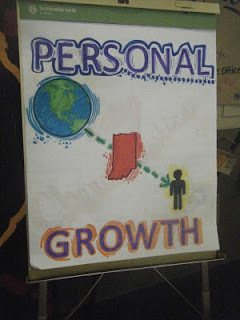 My Personal Growth session with Janna gave the members’ time to think about their own personal journeys. Letting them write down what happened in their past, what is happening now as juniors and seniors and to think about their future goals and plans for the future. Saturday continued outside where the members had a set challenging activities they had to solve and after they had to complete a series challenges on the ropes course. Rain chased us inside for the remainder of Saturday. Morgan Gadd and Micah’s session was a continuation from outdoors over the importance of teamwork and trust in one another. We continued the evening with our Annual FIRE Banquet and Auction. We closed out our busy day with a dance…FFA Style! Before cabin checks we ended the day with the remaining officer’s reflection. Morgan Gadd, Micah, Megan, and I each shared our obstacles. Sunday Morning was too short after cleaning up and packing to head home. The members came through those doors one last time. Memories were shared, friends were made, and I Kelly Blackburn, Indiana FFA State Reporter was truly changed because of FIRE 2010! When the closing tradition/song closed out the session I knew we had reached DESTINATION EXCELLENCE! What does the number 9,400 mean to you? While that may just be a number to some, to myself and six other individuals living in Trafalgar, that number means so much more. In the Indiana FFA we are at approximately 9,400 FFA members state wide. So, to my teammates and I, 9,400 represents the Infinite Potential that the Indiana FFA has. 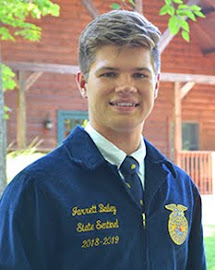 Serving this year as the Indiana FFA State Southern Region Vice-President, I am blessed to be serving each and every one of those FFA members every single day! Throughout the year, we are presented with numerous opportunities to impact the FFA members throughout the state. One of the most exciting ways that we can make an impact is through our leadership conferences. After countless hours spent getting ready, the time is almost here for an action packed weekend. 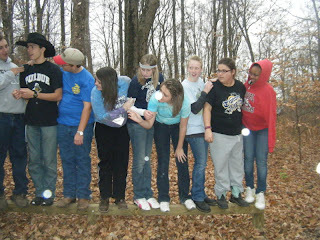 Filled with fun, excitement, agricultural education, and leadership training, our 2010 F.I.R.E. (Foundations In Reaching Excellence) Conference is finally here!! My fellow teammates and I are excited to welcome nearly 200 FFA members to the Indiana FFA Leadership Center this weekend for an adventure to “Destination Excellence”. Throughout the weekend we will have everything from an ice cream social, personal growth session, agricultural literacy session, and we can’t forget the famous “Ultimate Challenge” filled with messy, fun, and fast paced team activities. Most importantly, this weekend will serve as a way for students to network with other FFA members across the state, learn valuable leadership skills, and develop and prepare themselves to become the future generation of leaders in the agricultural industry. Be sure to check out the blog next week to hear more about the F.I.R.E. Conference. FFA State Officers Hit the Road Again! After a weekend home with our families and friends, the Indiana FFA State Officers are hitting the highway again! For a girl who is familiar to the central part of the state, I took a road trip to the south where there is still color in the leaves, believe it or not! I was about 6 miles from the Kentucky state line. 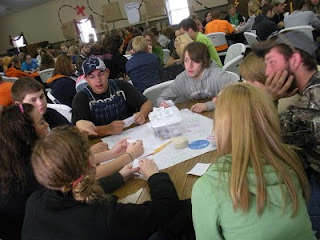 I recently traveled to Lanesville High School on Wednesday November 3, 2010 for their annual Fall Banquet. To start off the night the Lanesville FFA Officers opened the banquet with opening ceremonies. We were then dismissed for dinner which consisted of a pot luck style dinner, which was delicious. 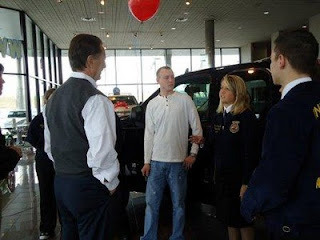 I spoke to the administrators, FFA members, parents, and supporters about the Importance of FFA. 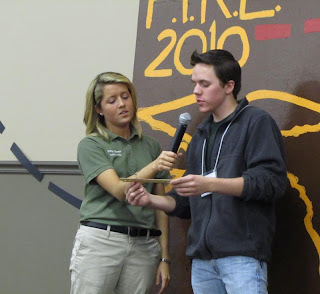 I highlighted how I became involved in the FFA and how it became of importance to me. I talked about the opportunities I encountered as well as what opportunities are available to members. FFA members at Lanesville received their Discovery, Greenhand, and Chapter FFA Degrees as they have met the requirements needed to do so. They are well on their way to receiving their next degree degree. It was great to visit other chapters to see what they have accomplished as well as visit with so many supporters of the Lanesville FFA Chapter. I cannot wait to visit more chapters throughout the state of Indiana in the upcoming months! It’s Halloween time! In America, that usually consists of dressing up for trick-or-treating, classroom parties, and fall break for youngsters and teens! At the Jay County FFA Chapter, it means something much different! Every year, they hold their Greenhand Initiation and Induction Ceremony around the time of Halloween! Along with this, they also have a pumpkin carving contest, which gets pretty competitive! Though I was not there last year, I was told that a member brought a motorized knife to carve his pumpkin – he was clearly in it to win it! Luckily I, along with Megan Klotz, Kelly Blackburn, and our new Program Specialist, Ms. Lindsey Calhoun were able to attend and join in on the celebration this year with Jay County FFA! During the pumpkin carving contest, we got to hang out and carve pumpkins with members as well as be the judges at the end! The creativity the members exhibited in carving their pumpkins was phenomenal! The first place pumpkin had the face of a pig with “FFA” coming out of its mouth! Another had a pirate symbol on the front with the word “ARRRRGRICULTURE” on the back! Combining my inexperience with carving pumpkins and my lack of creativity and imagination, mine simply had “FFA” on it! Ha! It was so cool to have fun while carving pumpkins and be able to share the positive message we are consistently striving to share…agriculture! Along with enjoying fellowship with members, we also were given the opportunity to tour the Jay County Agricultural Department! WOW! What a facility! With three agricultural education teachers, three classrooms, a computer lab, two shop areas, an animal and aquatic center, and an SAE study room, it is evident that they are supported and they are investing that support in the future of their students! While we are hearing everyday that agricultural education and FFA is in danger due to budget cuts and lack of support, it is extremely encouraging to see programs like Jay County’s that are growing and prospering despite hard times! It was once again a blessing to visit the Jay County FFA Chapter and just hang out with the advisors and members, which is definitely my favorite part of being an Indiana FFA State Officer! The enthusiasm and excitement for FFA that their Chapter Officers and younger members possessed was yet another reminder of how purely blessed I am to be in the position I am this year and why I thank God every day! I hope you all have a safe and enjoyable Halloween! I advise you to take the opportunity to share with a child how a pumpkin grows or what their candy or costume is made from! Share and spread the message of agriculture – whether it be with a trick or a treat! The 83rd National FFA Convention is officially underway in downtown Indianapolis, Indiana! Over 50,000 proud FFA members in their blue jackets have taken over the city as they embark upon the many opportunities that the National FFA Convention has to offer them this year. Life-long memories are being made and amazing experiences are being had by everyone attending the convention whether it's visiting the career show, attending each of the sessions run by this year's National FFA officers, competing in one of the many National FFA Career Development Events, congregating with other FFA members from all across America, or seeking out other opportunities that the greatest National Convention of any youth organization in America has to offer. This year at the National Convention, FFA members are learning new ways to discover and unleash their "Infinite Potential." My State Officer team and I have had the honor in participating in each of these endeavors as well as representing the great State of Indiana as Indiana's National Delegates. Come check out the breath-taking "Infinite Potential" that is swarming downtown Indianapolis! Welcome to FFA: Following the Future of Agriculture! We are so excited you have taken the time to join us to learn how the agricultural industry makes an impact in YOUR life. 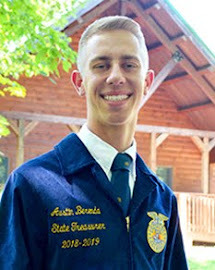 The youth of our agricultural industry is lead by many individuals, however we are lucky that seven of them, our Indiana FFA State Officers, are joining us on the website to share some of their experiences and hopes for agriculture. 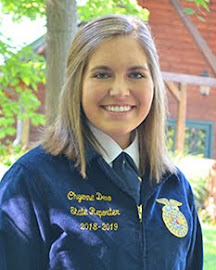 Morgan Dawson, is currently serving as the 2010-2011 Indiana FFA State President! Hailing from the Scottsburg FFA Chapter in Scottsburg, Indiana, she is proud to be a southern gal, representing the beautiful southern Indiana land! 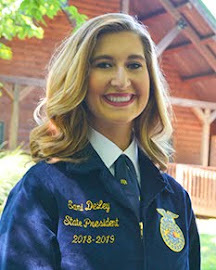 Megan Klotz, your Indiana FFA Secretary is devoted to carrying out the Indiana FFA mission statement: to promote premier leadership, personal growth and career success during her year of service to the FFA and the agricultural industry. Morgan Gadd, your Indiana FFA Northern Region Vice President, is a proud member of the Hamilton Southeastern FFA Chapter. With the support of her parents Sharek and Ra Gadd, she looks forward to connecting young agriculturists with their interests and opportunities. 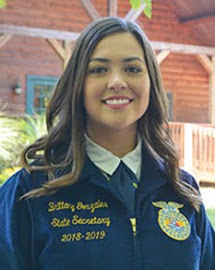 Nellie Bell, your Indiana FFA Southern Region Vice President, who proudly hails from the Hagerstown FFA Chapter looks forward to helping the FFA members serve by offering their best talents and skills. 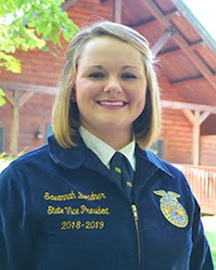 Janna Oxford, from Cloverdale, is currently serving as the Indiana FFA State Treasurer. She is very excited to be serving the more than 9,400 Indiana FFA members this year! Kelly Blackburn, from the Prairie Heights FFA Chapter, is serving as the Indiana FFA State Reporter. She is ready to share her passion and love for Agriculture and the FFA to everyone she meets! 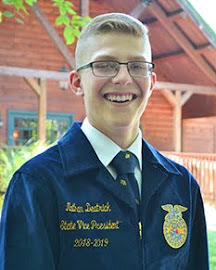 Micah Matlock, son of Marty and Robin Matlock, is a proud graduate of the Knightstown FFA. He is eager to help members of the Indiana FFA reach their Infinite Potential.